When reflecting on the life of Diane Marthaler, it is easy to see that she was a lover of life and that she lived it to the fullest each and every day. She was generous, even selfless when it came to others, and her devotion to her family was unmatched. Diane took her roles as a wife and mother to heart, but she just may have argued that becoming a grandmother and great-grandmother was her sweetest reward. She discovered the incredible gift in focusing on what really matters in life as her focus was on spending every moment she could with the ones she loved.  Life was not always easy for Diane, but she faced whatever came her way with both courage and strength. Deeply loved, she will be forever missed. During the first half of the 1940s, the eyes of our nation were focused overseas as countless young servicemen and women were serving in WWII. With the war’s end in 1945, our troops were able to return home, which resulted in a baby boom that lasted for several years. It was as our nation was making the shift to being a nation at peace once again that Donald and Mary (Swetz) LaVigne were pleased to announce the arrival of the baby girl they named Diane Marie on August 24, 1947. 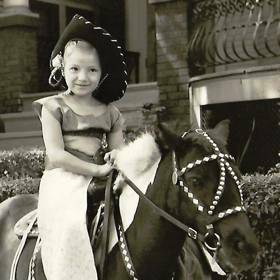 Because she was nine years older than her younger sister, Laurie, and then 12 years older than her brother, Darrell, it has been said that she was just a bit spoiled as an only child for much of her childhood years. In many ways, Diane was a young girl of her generation. Her father worked as a barber while her mother worked as a machinist in a local factory. As a family they lived with Grandpa and Grandma LaVigne on Franklin Place on the Eastside of Milwaukee, which was a wonderful experience as it really instilled within Diane the incredible worth of family. She attended St. Hedwig’s grade school for eight years, and then went on to Riverside High School. As a young woman Diane loved rollerskating, hanging out with friends at Aliotos Pizzeria, and going out dancing, often attending C.Y.O. In addition, Diane liked playing cards as well as hanging out with her favorite cousin, Susie. In fact, it was while at Susie’s wedding that she met the man who would forever hold the key to her heart. His name was Elmer O. Marthaler, but upon meeting him Diane did not care for him at all, and she made sure that everyone knew it, too! Interestingly, a spark later became ignited, perhaps because they shared a love for dancing. When Susie learned that Diane was getting married and that Elmer was the lucky guy, she was in disbelief and reminded Diane that she didn’t even like him! However, Diane and Elmer did exchange their vows before a justice of the peace in 1969. Together they were blessed with the births of three children, Melissa, Tracy, and Troy, in addition to Diane’s stepdaughter, Shawn, who also greatly enriched her life. Diane and her family were deeply devastated with the death of her daughter, Judith. Nothing was ever more near and dear to Diane’s heart than her family. She loved getting together with loved ones, and she was willing to sacrifice anything and everything for the wellbeing of her family. Throuhgout her life, it was clear to see that being with family and friends was always more important to Diane than anything material ever was. She did work outside of the home including as a cook and waitress at George Webb’s Restaurant for 17 years and then a caretaker and housekeeper for Bethesda Lutheran Home. Over the years, Diane was a woman who was always busy and enjoyed pursuing her interests. Many of them revolved around being with others such as the motorcycle rides with her close friend, Claire, or the conversations with her neighbors around the bonfires. Later, she enjoyed movies at the senior center. Diane loved traveling and took some memorable vacations to places such as the Bahamas, Las Vegas, and Nashville. 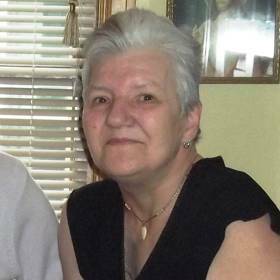 Around home, Diane liked watching shows like NCIS and Blue Bloods as well as other detective shows. She was also an avid Packers fan. Of course much of her free time was spent taking care of others who were in need whether she was cooking, cleaning, or tending to any other kind of need that she could fulfill. Even when battling pancreatic cancer since 2012, Diane’s focus was always on others. 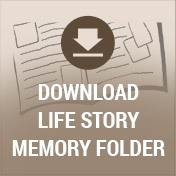 All who knew Diane M. Marthaler would agree that she was such a blessing to everyone she met. Described as kind, loving, and friendly, there was no one who met her and left unchanged. Diane was also known for her strength and her strong work ethic that was apparent in everything she did. Life will never be the same without Diane here, but she leaves behind a priceless collection of memories that her loved ones will forever cherish. 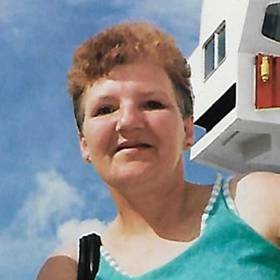 Diane M. Marthaler, of Watertown, WI, died on April 12, 2016. Diane’s family includes her husband, Elmer Marthaler; children, Melissa (Jeffery) Drunasky, Tracy Marthaler, and Troy (Jennifer) Marthaler; stepdaughter, Shawn (Mark) Gosciniak; grandchildren, Mitchell Drunasky, Kristi (Ryan) Bouwkamp, Kayla Keene, Cory Keene, Lily Marthaler, and Natalie Marthaler; siblings, Laurie (Antonio) DeLeon and Darrell (Jaclyn) LaVigne; 2 great-granchildren; and other relatives and friends. 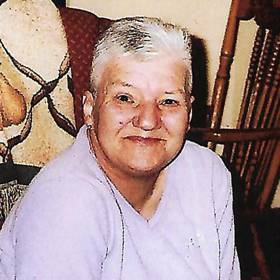 Diane was preceded in death by her daughter, Judith Ann LaVigne. 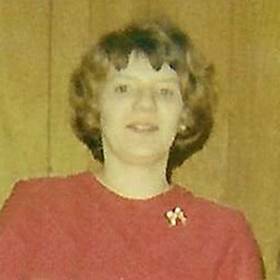 Visitation will be held on Saturday, April 16, 2016, at the Funeral Home from 3 – 6 p.m. And Sunday, April 17 at the Ritchay Funeral Home, 1950 12th Street S. Wisconsin Rapids, WI 54494 from 4 ¬ 6 p.m. Interment St. James Cemetery Vesper, WI, Suminski LifeStory Funeral Homes, Niemann / Suminski, 2486 S. Kinnickinnic Ave 414¬744¬5156, www.SuminskiFuneralHome.com.